Klik di sini untuk versi Bahasa Indonesia. Once you finish A Dance to Remember quest, FreePlay will offer you to get a limited time prize. You have a chance to claim the prize for 7 days. To get the prize, you have to buy the Salsa Jukebox you have been unlocked from A Dance to Remember quest. You can buy it from the Promotion R Us shop. 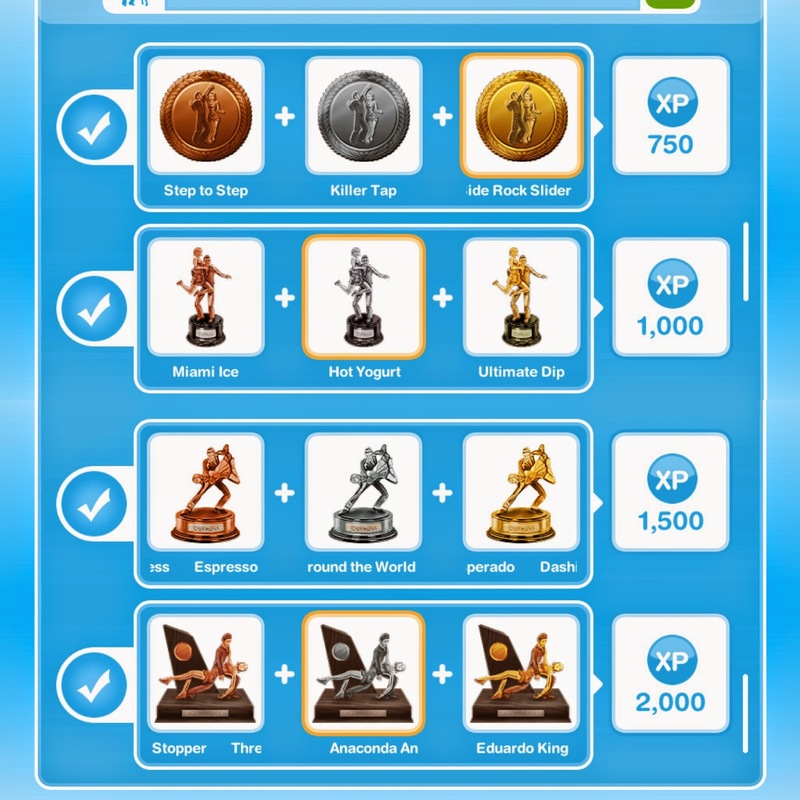 Do this hobby and collect all trophies (collectible items). But unfortunately, you can only buy one Salsa Jukebox. 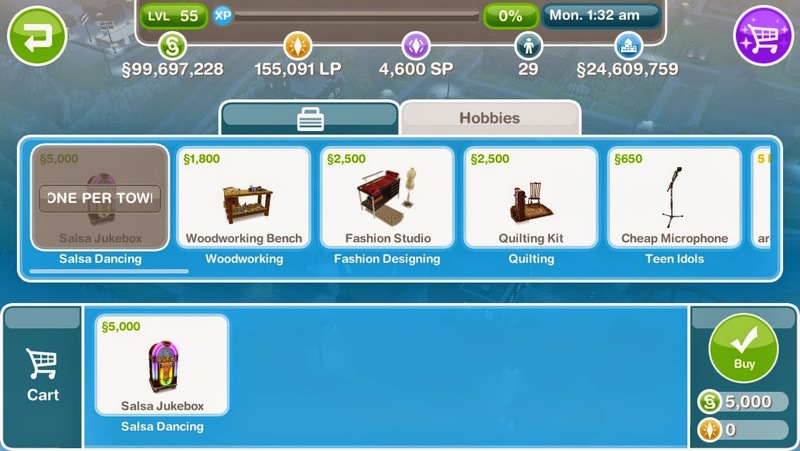 It means, the game only allowed a couple Sim to develop this hobby. You can't use multiple Sims to collect the trophies faster. You will be rewarded with 750 XP if you collect all first line trophies. You will be rewarded with 1,000 XP if you collect all second line trophies. You will be rewarded with 1,500 XP if you collect all third line trophies. You will be rewarded with 2,000 XP if you collect all fourth line trophies. 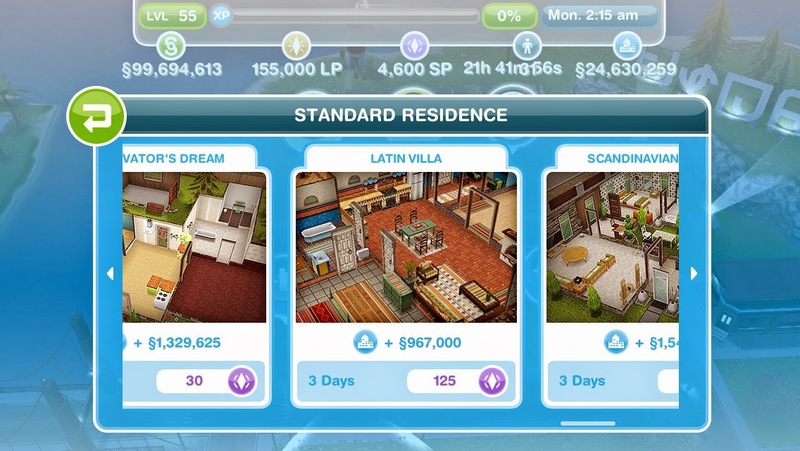 By collecting all trophies from Salsa Dancing hobby within the indicated time, you will unlock new premade house "Latin Villa". Latin Villa can be built on Standard Residence and Premium/Ocean View Residence. It will cost you 125 SP for Standard Residence and 175 SP for Premium/Ocean View Residence. 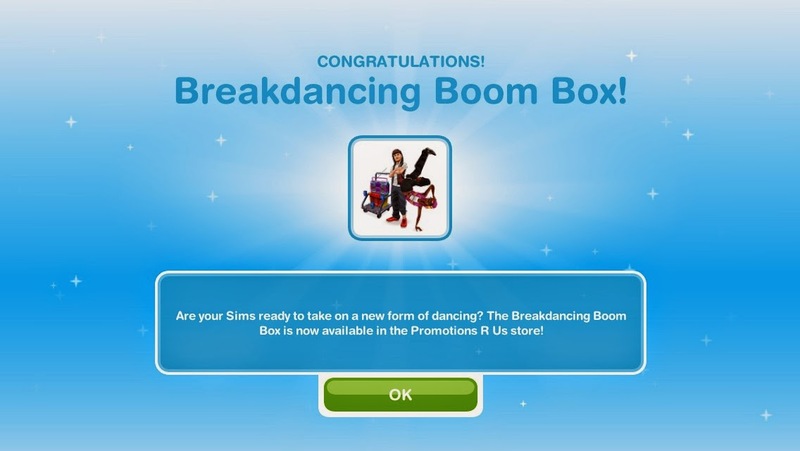 By collecting all trophies from Salsa Dancing hobby (without limited time), you will unlock "Breakdancing Boom Box". Breakdancing Boom Box serves to develop Breakdancing hobby.